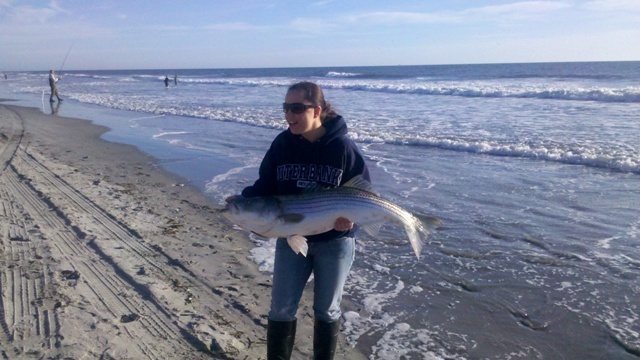 According to the local fishing experts…the stripers are running! 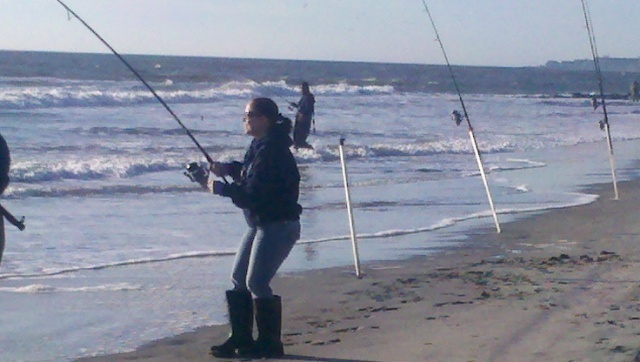 I originally tweeted this morning about the “fishermen”…then amended my description to include this skilled “fisherwoman”! 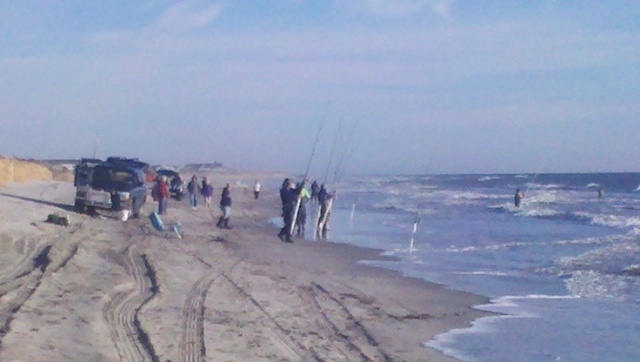 Fun to watch as I walked the beach before work. Another incredible day. A friend of mine posted about this on facebook yesterday but her comment was “her husband was out catching strippers”. So funny. Needless to say she got lots of comments and will never mis-spell stripers again. I was worried about that, too. Especially when I posted on my phone from the beach WITHOUT glassess! Hope you got her name — she would probably love to have these pictures. I didn’t…hopefully she reads my blog!